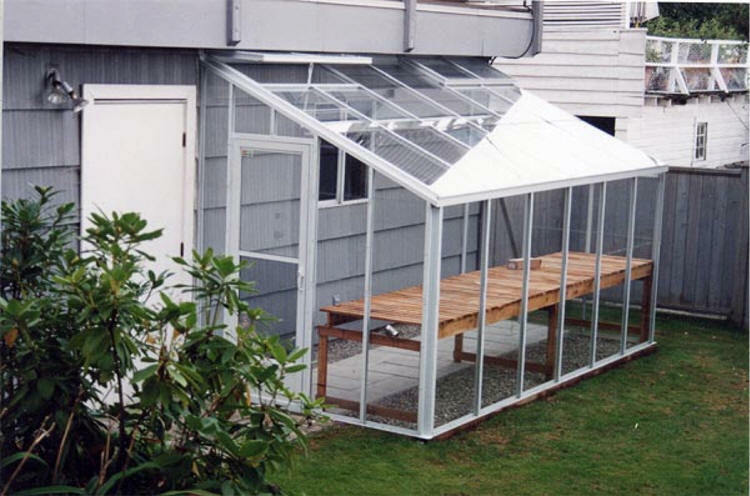 Extend the gardening season in a conveniently located Lean-to Greenhouse, easily adaptable to fit your home. 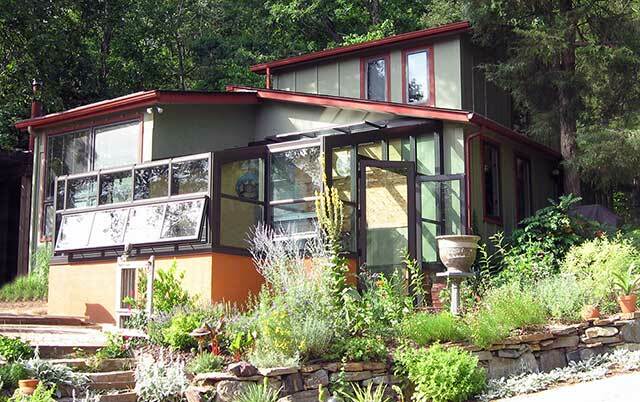 Sometimes referred to as Lean-to or sunroom our home-attached models offer guaranteed savings in heating costs. 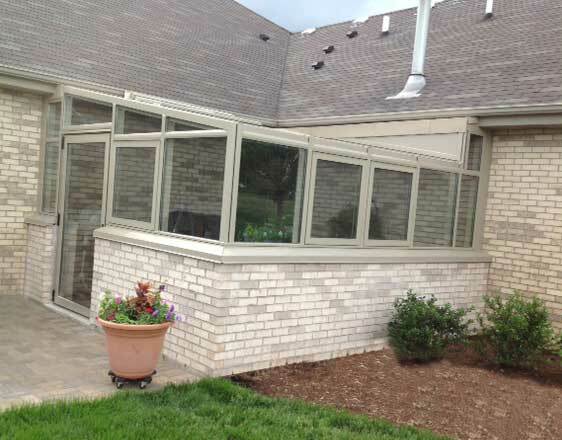 We offer four different glazing systems: single pane glass, double tempered insulated glass, twinwall polycarbonate, and fivewall polycarbonate. Our glazing options allow you to attain the best balance between insulating value, aesthetics, and economy to suit your needs. 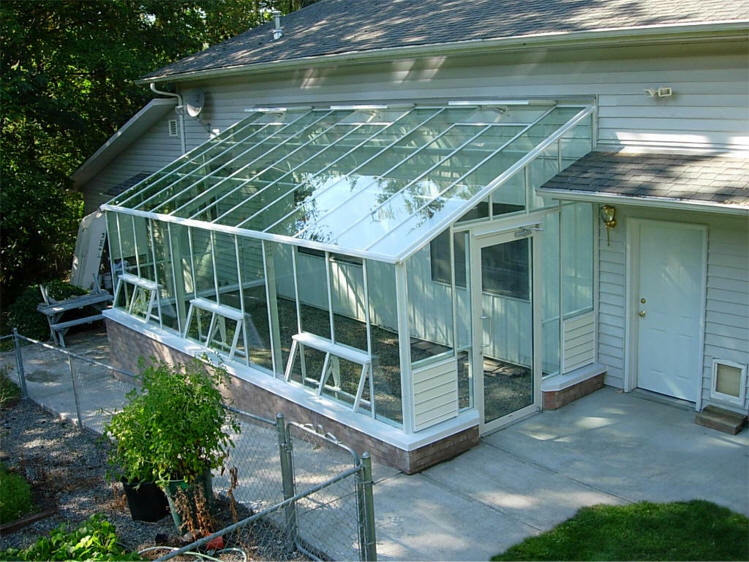 Our single glass is tempered safety glass to minimize any possibility of breakage or injury. The traditional look appeals to greenhouse gardens with full light transmission capable of controlling their growing variable. 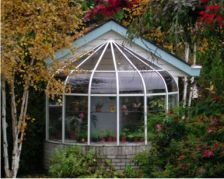 Single pane glass is adequate for keeping a `cool greenhouse` in mild climates. 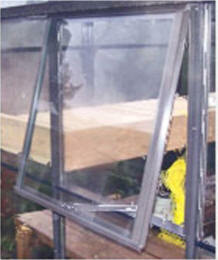 Our double glazed glass is tempered safety glass to minimize any possibility of breakage or injury. 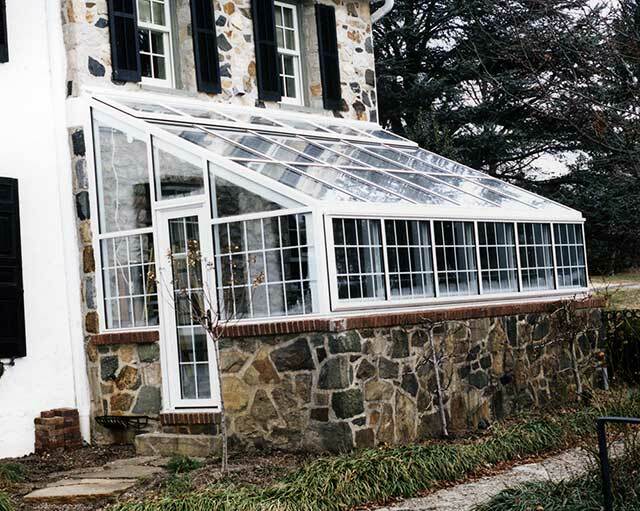 Insulated double glass is the best of both worlds, providing you with the aesthetically pleasing look of glass and the insulation you may require for your specialty plants. 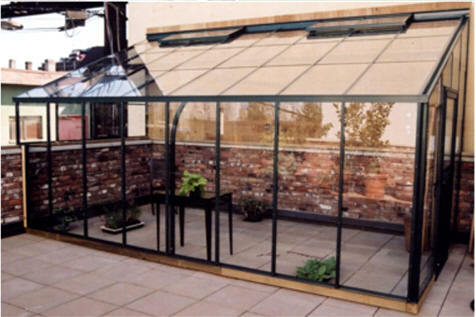 Double glaze glass can also be upgraded to a high-performance Low E glass to help keep the greenhouse even cooler in the summer and warmer in the winter while still maintaining the light necessary for plant growth. Other high performance options are available, please contact us for more information. Our new 16mm fivewall polycarbonate offers unbeatable insulation which is 50% more insulating than double pane glass, or 80% more efficient than 6mm or 8mm twinwall polycarbonate. Fivewall is ideal for colder climates, gardeners who grow specialty plants, or for those who prefer the most energy efficient greenhouse to reduce heating costs. 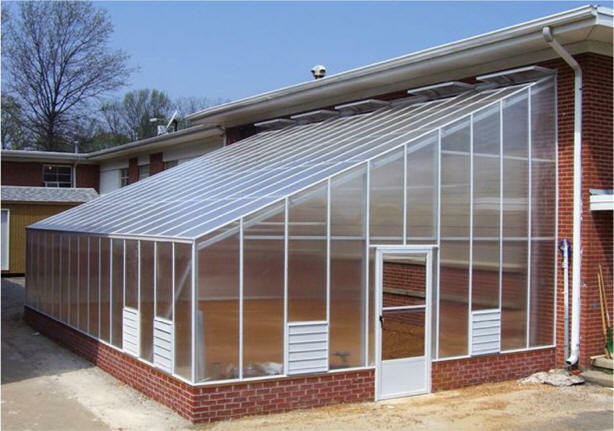 Our standard greenhouse aluminum frame is ideal for hobby residential and commercial greenhouses that require a permanent structure which complements an existing landscape. 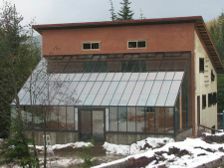 The standard greenhouse frame can withstand 85 mph winds and 30 pounds per square foot for snow loads. 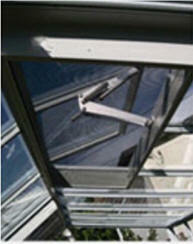 Mix and match glazing to suit your growing needs. Standard Widths: 6', 8', 10', 12' , 14',16', 18', 20'. 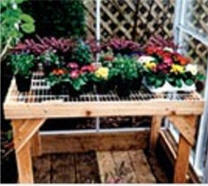 Side Vent: 24" x 24" side vent provides added ventilation to any greenhouse. 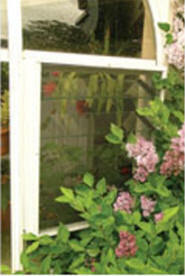 Glass Louvres: A 24”x 28” aluminum frame with adjustable glass louvre blades. 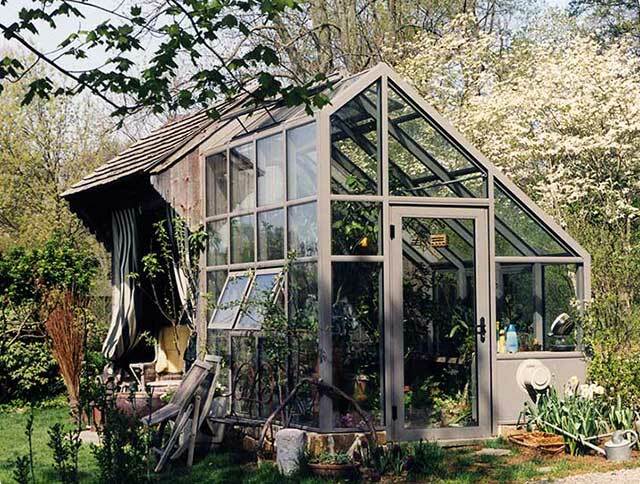 Can easily be installed in any greenhouse. 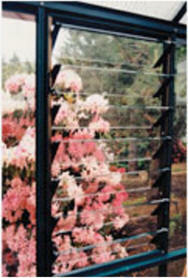 Vent Screens:Specially designed to work in conjunction with our vents and automatic openers. Solar Powered Vent Opener:Greenhouse Accessories - Solar Powered Vent Opener Take the guesswork out of your greenhouse ventilation. This opener will operate your vent based on temperature. 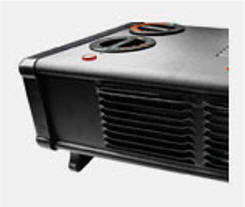 Caframo Fan:Equalize the greenhouse temperature and distribute air evenly throughout. 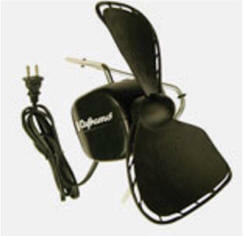 This quiet two-speed fan maintains constant air movement. 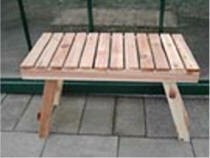 Cedar Benches With Wire Top:Choose from two sizes of these heavy duty all cedar framed benches, with either a wire top. 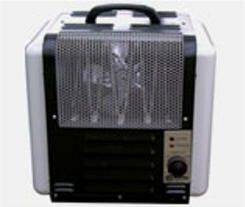 Marley Heater: 220VOLT – 4KW An efficient fan-forced heater for larger size greenhouses. Controlled with an adjustable automatic thermostat.